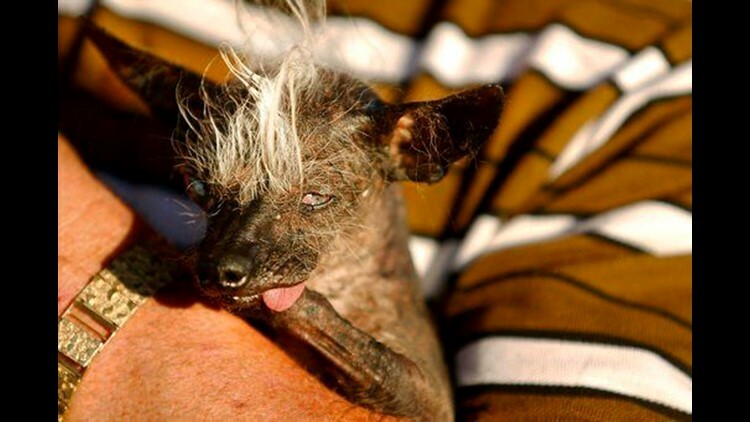 The World's Ugliest Dog Contest in California is celebrating the inner beauty and imperfections of man's best friend on Friday. 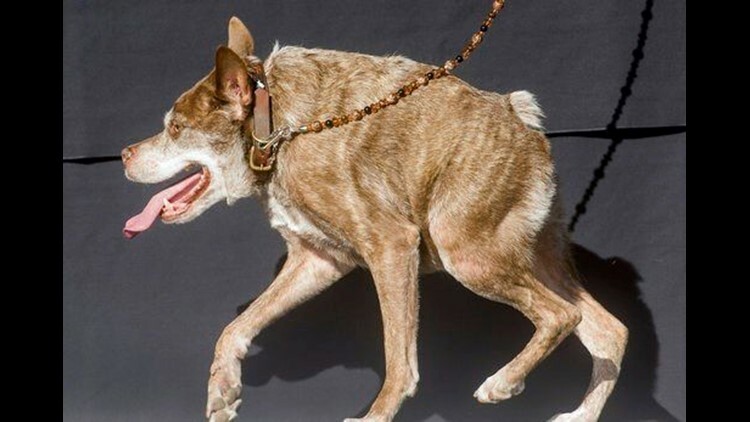 PETALUMA, Calif. (AP) - The World's Ugliest Dog Contest in California is celebrating the inner beauty and imperfections of man's best friend on Friday. The pooches - many of which are adoptable or previously adopted - will face off in a red carpet walk and "Faux Paw Fashion Show," organizers said. The contestants are judged on first impressions, unusual attributes, personality and audience reaction. In this June 20, 2014 file photo, Peanut, a 2-year-old mutt is held by owner Holly Chandler after winning the World's Ugliest Dog Contest at the Sonoma-Marin Fair in Petaluma, Calif.
A blind Chihuahua-Chinese Crested mix named Sweepee Rambo bested 16 other homely hounds in last year's competition and walked away with $1,500, a trophy and a flight to New York for media appearances with her owner, Jason Wurtz. The then-17-year-old champion proved that third time's the charm after falling short in the competition twice before. By celebrating inner beauty, organizers said they hope to showcase that all dogs, regardless of physical appearance, can be lovable additions to any family. In this June 26, 2015, file photo, Quasi Modo wins top honors in the World's Ugliest Dog Contest at the Sonoma-Marin Fair in Petaluma, Calif. Contest rules prevent owners from intentionally altering their animals to enhance appearance for the purpose of the contest. 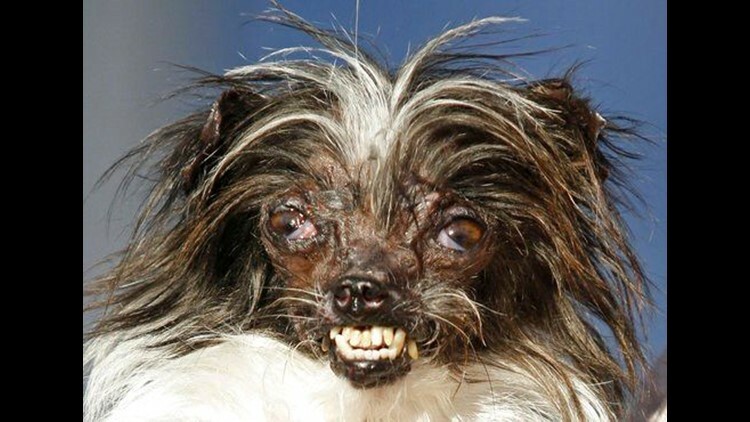 These pooches are celebrated for their natural ugliness, organizers said. Besides the main crown, the Spirit Award is presented to a dog and owner who have overcome obstacles or provide service to their community, organizers said. The competition has been held in Petaluma for more than 50 years.